 Video of "Andrew's Anthem" from Freedom Park - NEW!  Video of "Butterfly" from Savoy Taproom - NEW!  Video of "Pools" from Freedom Park - NEW!  Video of "One Liners" from Jazz on Jay - NEW!  Video of "Andrew's Anthem" from One Caroline.  Video of "Sandu" from Taste.  Video of "Ghost Train" by the Capital Region Wind Ensemble from SCCC. 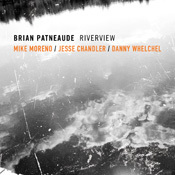  Video of "Riverview" from Look Up! The new album is now available! 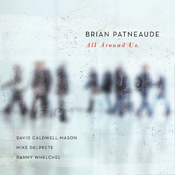 All Around Us is a collection of six brand new original compositions as well as arrangements of Wayne Shorter's "Juju" and Bronislaw Kaper's "Invitation" featuring David Caldwell-Mason on piano & fender rhodes, Mike DelPrete on acoustic bass and Danny Whelchel on drums & percussion. 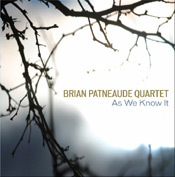 A collaboration of jazz tradition, new creative influence, and personal evolution ... This is jazz with a solid vision: clear and forward. The album is the best in Patneaude’s decade-long career, with songs drawn from life and given life by this crisp and seasoned ensemble. 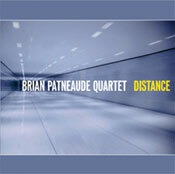 Evocative of Chris Potter, Michael Brecker, Mark Turner and Joshua Redman. Want a free sample of the music? 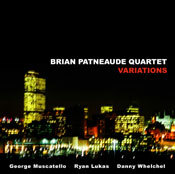 The website AllAboutJazz.com is featuring the song "Aimless Antithesis" as a free daily download MP3. Download it here.  Times Union "Picks of the Week"
 Metroland Best	of	the	Capital	Region	2011	-	"Best	Jazz	Combo"
 Metroland 2011 Readers' Poll - "Best Local Jazz Band"
 Metroland Best	of	the	Capital	Region	2010	-	"Best	Jazz	Artist"
 Metroland 2010 Readers' Poll - "Best Local Jazz Band"
 Metroland Best	of	the	Capital	Region	2009	-	"Best	Jazz	Combo"
 Metroland 2009 Readers' Poll - "Best Local Jazz Band"
eMusic "Jazz Pick of the Week"
albanyjazz "Top 5 Jazz Albums of 2012"
CD Baby "Top 10 Jazz Albums of 2009"
Nippertown "Top Albums of 2009"
albanyjazz "Top 5 Jazz Albums of 2009"